Dr. John R. Tkach, M.D., was born at the start of World War II and grew upon the East coast of the USA. He received his bachelor’s degree from Johns Hopkins University and his Master’s Degree in Microbial genetics from the university of Hawaii. His M.D. was received from the University of Colorado in Denver. After rotating internship at Presbyterian Hospital in Denver he completed his dermatology residency at the University of Colorado. His is board certified Dermatology and Dermatopathology. He has had a full time solo dermatology practice in Bozeman, Montana since 1975. His interests are in biochemistry, physics, molecular biology, immunology, human cancer and drug design. 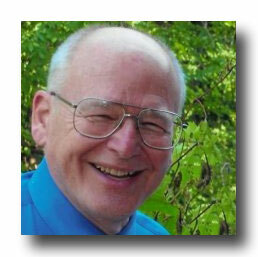 Dr. Tkach was trained in Medical Hypnosis by Sidney Margolin, M.D. at the University of Colorado in Denver, and by B. (Fig) Newton, PH.D, in Bozeman, Montana. Dr. Tkach is the curator of an extensive library of Dr. Newton’s work. It was Dr. Newton’s 1997 recorded conversation with Dr. Edgar A. Barnett M.D. that lead Dr. Tkach to seek training from Dr. Barnett. Dr. Tkach is the first person to be trained and certified in the Rapid Reintegration Procedure by Dr. Barnett.